With grab ‘n’ go lunch choices by the dozen it’s time for you to dip into Chinatown London on your lunch break and get something that will keep you full past dinner. Whether you want a quick bite to-go, a takeaway for two or something light and fresh, we’ve got you covered. Plus, we’re all about value so these dishes may be quick but they’re not heavy on the purse strings either. 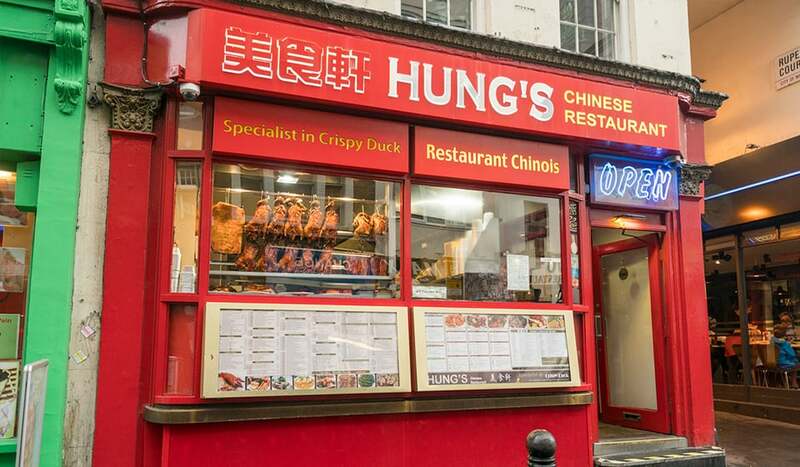 As well as updating them for 2018, we’ve also split them into three handy categories – takeaway, time to stop and dine-in so that however much time you have, Chinatown London has time to feed you. There’s two important things to know about Bake: one, just how easy it is to find (9 Wardour Street if you were wondering) and two: just how good their grab ‘n’ go lunches are. 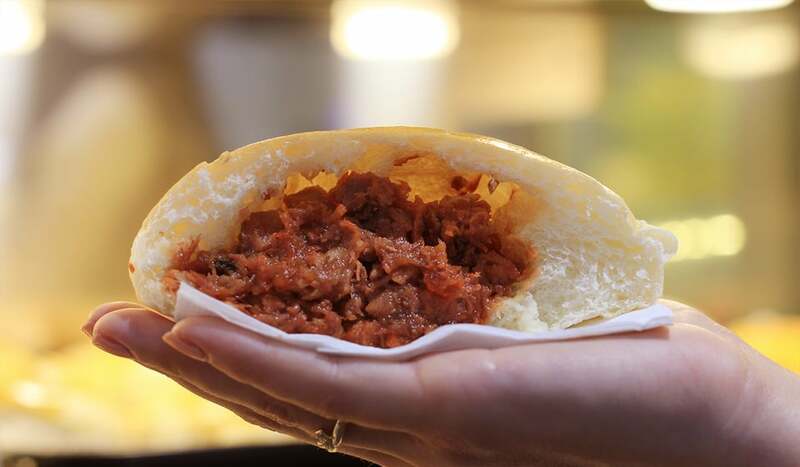 The Char Sui Bao is a homemade favourite. Think cloud-like, barbecue-pork stuffed in a delicate little shape that will have your friends asking: “what is that?”. Café TPT is a must-visit lunch location for Hawker Style dishes which, for the uninitiated, means street food. And street food means mouth-wateringly good. 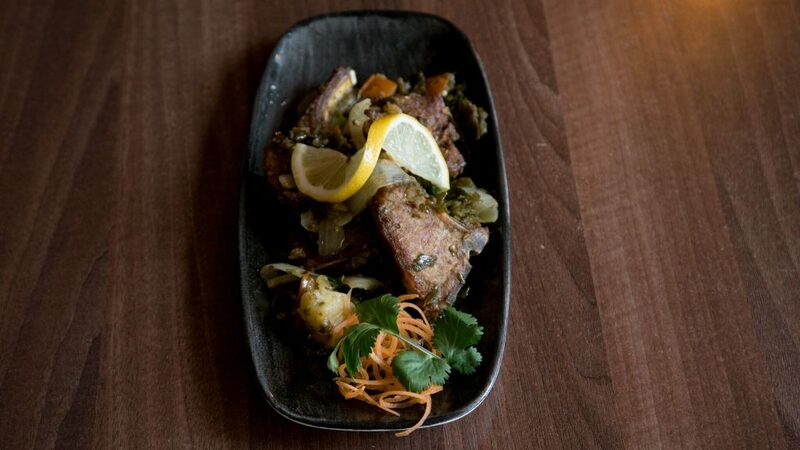 We recommend a Bak Kut Teh if you need warming up, which is a Malaysian meaty broth of slow-cooked pork ribs. For something filling, check out the Zha Jiang Mian – thick wheat noodles smothered in a fermented soya bean paste. For everything else? It’s up to you to find out. Savoury, succulent and freshly made, Hung’s roast duck with rice is hailed as some of the best roast duck in Chinatown. Even better is that you can take it away to enjoy al fresco or even back at the office. If duck isn’t your thing, you can also try their roast chicken. Perfect to quaff down with chopsticks, outside or back at your desk. At the Sichuan-serving Baozi Inn, the level of spiciness is made to give you a kick strong enough to replace your afternoon coffee. 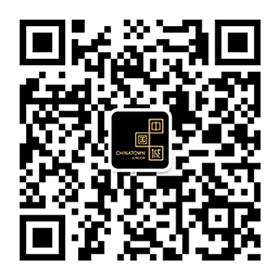 Its legendary dumplings, Ma La Tang, or ‘hot-pot-on-the-go’, is the dish of choice for lunchtime visitors. Dripping with red oil and packed with seaweed leaves, sliced lotus roots and black fungus (all classic Chengdu hot pot ingredients) it’s an authentically feisty dish to mix up your lunchtime. The Four Seasons (we’re lucky enough to have three) are the best in business for Cantonese Roast meats. For a lunchtime feast that will serve you through until dinner, grab the rice and roast duck to take away. 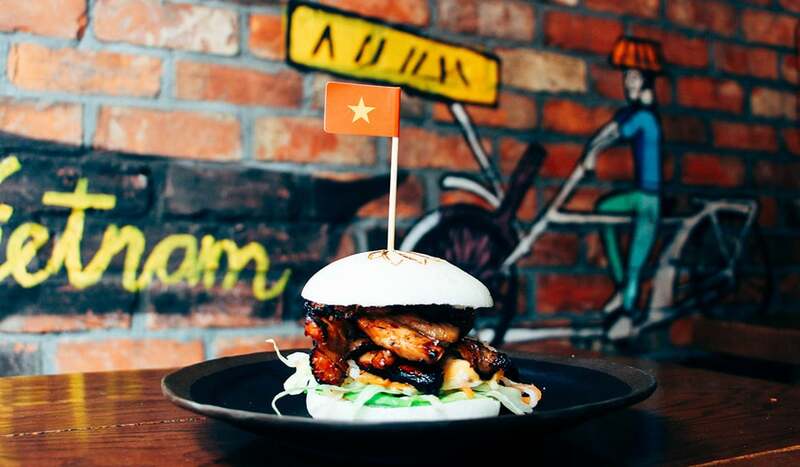 There’s plenty to love at Pho & Bun, but for lunchtime, there’s just one you need to know about: the bao burger. These generously stuffed steamed meat feasts are made to go and are all you need to be full until dinner. If you did want to dine in, Pho & Bun’s set lunchtime menu includes two starters, a main, a dessert and a drink for a wallet-friendly £23.95 per person. Pho & Bun, 76 Shaftesbury Avenue, London, W1D 5EP. One of the best places to not only eat dumplings but watch them being made in the window. 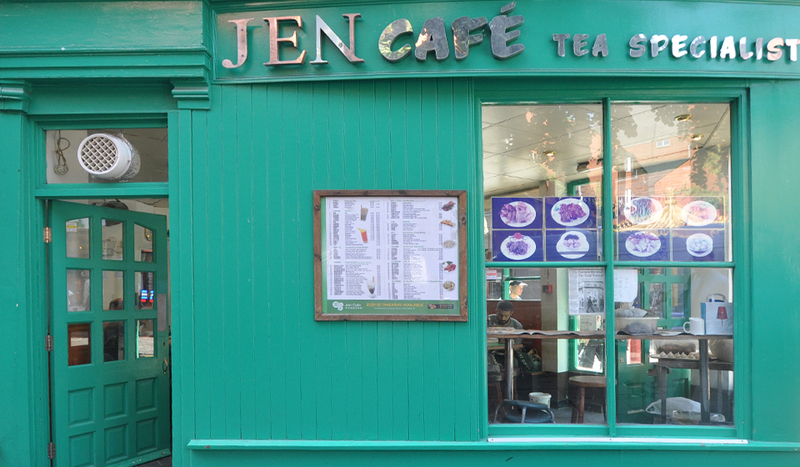 The dumpling masters of Jen Café will flatten, stuff and prep the dumplings in front of your eyes for you to wrap up to take away and be enjoyed at your leisure. They’re also masters of tea, whether you want something hot or iced, which makes for the perfect after-lunch pick me up. Bringing all the flavours of the Aegean to Chinatown, Hovarda is a seafood sensation, serving the freshest fruits of the ocean. With its marine-inspired interior and twinkly chandeliers, it’s a super-stylish spot to spend lunch. Here, you can tuck into two or three courses, priced at a respectable £19 and £25. And, with choices like Fried Squid with ink mayo and Wood Fire Bream, you’ll want to make it your new lunchtime habit. Hovarda, 36 – 40 Rupert Street, London, W1D 6DW. With an awesome special offer available from 11am-5pm, it’s pretty much always lunchtime at Le Hanoi. Take advantage of this six-hour window where a plethora of tasty Vietnamese dishes cost a wallet-friendly £6.50 each. There’s sticky Vietnamese BBQ Pork slices that come alongside a pillow-y dome of rice, and Vietnamese Chicken & Mushroom, which includes a honey-hued sauce and salad. Le Hanoi, 4 Macclesfield Street, London, W1D 6AX. Giving traditional street food fare a contemporary remix, this cool Vietnamese joint is a formidable lunch location. 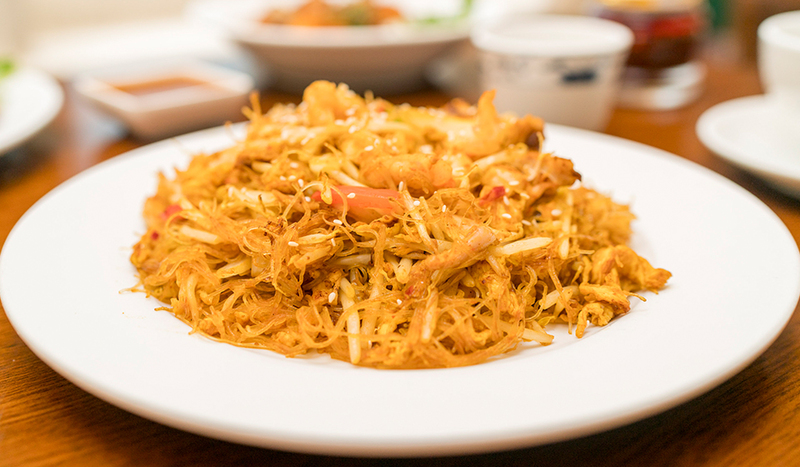 Every lunch dish at Viet Food is under £8 which makes it cheap enough to dine out regularly. Pick from Viet Bento Boxes stuffed with aromatic meats, lemongrass rice and salad or a big steaming bowl of pho. 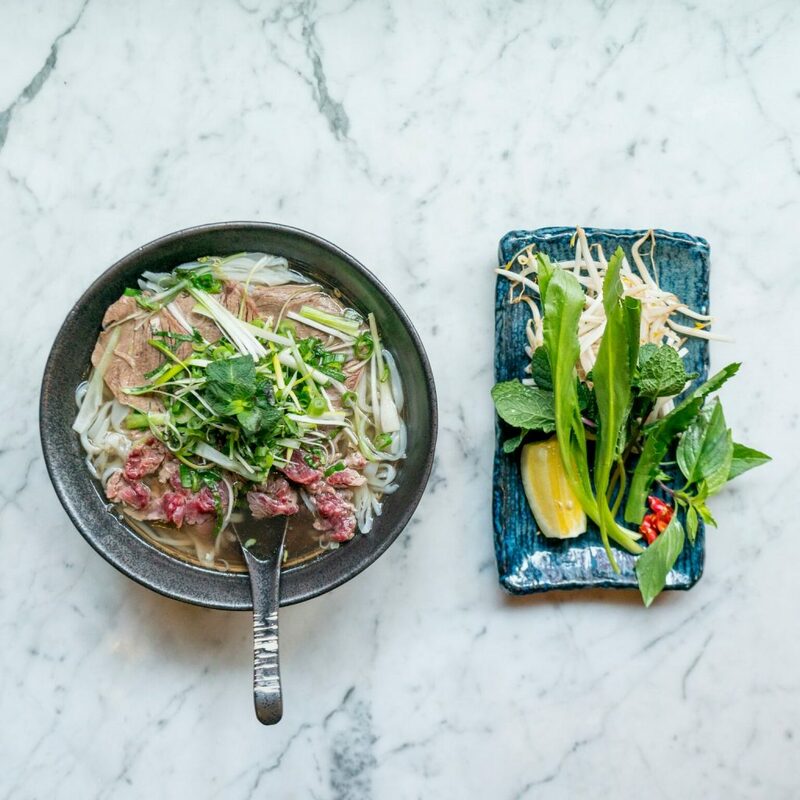 For something lighter you’ll want Viet Food’s small-in-price, big-in-flavour Small Eat menu starring classics like Summer Rolls and Chả lả Lốt (beef and prawns wrapped in betel leaves). Viet Food, 34-36 Wardour Street, London, W1D 6QT. The Indonesian minister’s restaurant of choice, Nusa Dua deals in deliciously authentic dishes from the island state. The restaurant presents a trio of set lunch menus, all of which come in at less than £12 each. Four dishes of delicacies like Gulai Tahu (a spicy tofu and veg curry) and Sate Ayam (grilled chicken skewers) will keep you full right through until dinner. Nusa Dua, 118-120 Shaftesbury Avenue, London, W1D 5EP. 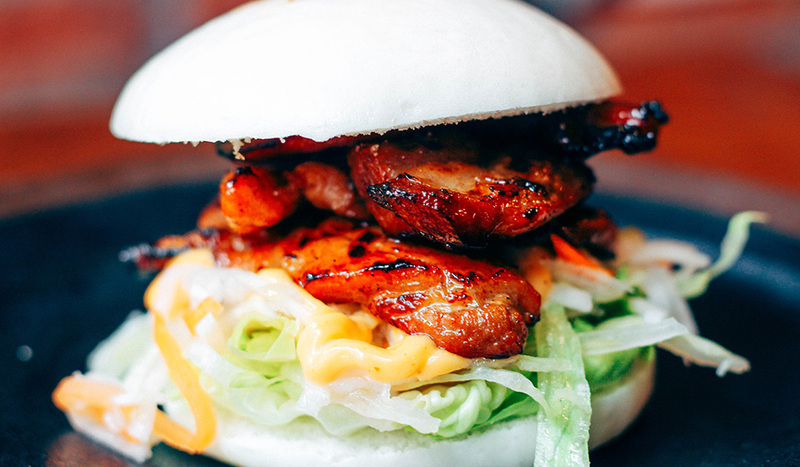 For more lunchtime treats make sure you follow our daily posts @ChinatownLondon.